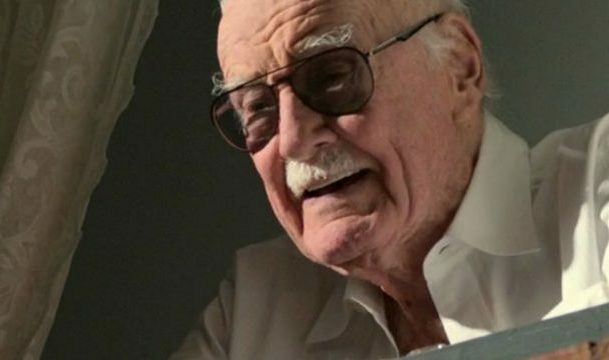 Earlier today, Stan Lee passed away at the age 95. He left behind an immeasurable legacy in comics. It’s sad to say, but this wasn’t entirely unexpected. Last summer, Lee skipped San Diego Comic-Con, which had long been one of his regular stops. At the time, Lee expressed his regret and said it was “one of the first San Diego cons he’d missed in awhile.” Fans were dismayed, but accepted it. The icon of the American comic book community was slowing down. But even then, he insisted on sending people to make sure fans “had a good time.” It was a kindness that many wouldn’t expect from a man who forged Gods and Heroes, but it was appreciated. It brought people together. Fans and pros alike have been brought together again in the wake of Lee’s passing. While the wound is still fresh, he left an indelible impact on pop culture. Universally beloved by both of the big two companies, Stanley Liebowitz, a.k.a. 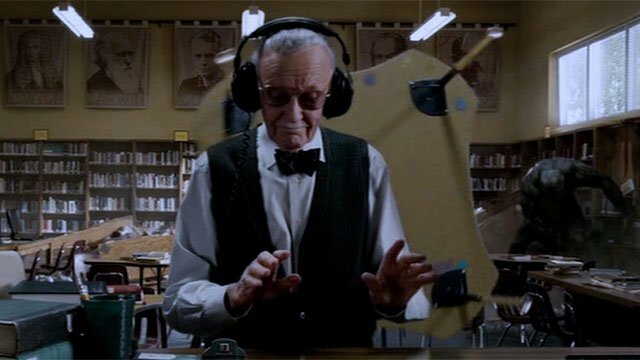 Stan Lee, shaped the modern comic book art form with his partners at Marvel. Lee probably didn’t intend it, but he may have left a greater impact thanks to his genial personality and his status as Marvel’s figurehead. It’s unrealistic to assume that Marvel wouldn’t have acknowledged their books and creators as something life changing. There is always a business aspect to any product sold. That said, there was a sense of alchemy in the Fantastic Four, the X-Men, Spider-Man, the Hulk, and the rest of Lee’s comics. They reached something in readers in a way few writers could duplicate. Lee understood the need for relatable heroes and modern day mythology. That need for a hero has shaped American society and pop culture on a personal and professional level. While the world begins to mourn, a fandom of true believers assembles. Lee encouraged the belief in his fans that they could do anything. They could be super, and even if things were dark they could always get better. Much like the characters he wrote, Lee had his own doubts and his worries. Much like the heroes he created, Lee had people who picked him up in the form of his wife, Joan, as well as his colleagues and friends. That tenacity made him an iconic writer that, much like his fictional creations, inspired real people. Their messages were messages he worked to pass on to his readers, who became fans. That led to the birth of fandom as we know it. Without Stan Lee fandom simply wouldn’t exist as we know it. Simply by living a life where he had fun, Lee was as exemplary as Peter Parker. People attached themselves to Lee’s legend, and reveled in it. They used his drive as inspiration to force them to keep going in their own lives and show off their own dedication. The outsiders and geeks found solace in his creations. His work grew beyond his presence and he came to embody the ideals that the fans embraced. “With great power, comes great responsibility.” Indeed. Like other storytellers, Lee sold himself and his products. The difference is that Lee did it with absolute sincerity. To Lee, every fan was a person, every creator was a friend. The reactions of fans and creators to Lee’s death stand as an example of that. Many people have taken to social media to share their stories about Lee. It is hard to move about in a society that is so touched by an individual’s creations without knowing someone who has been impacted by their work. 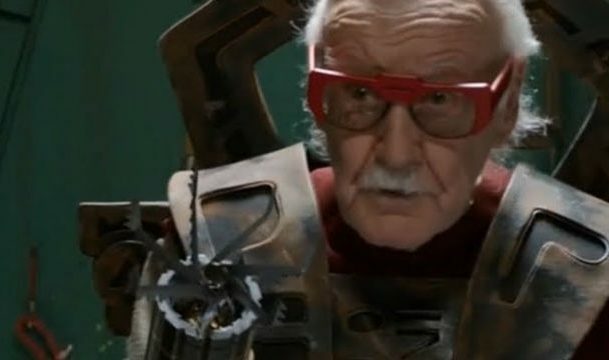 As Marvel has grown, on a day when the world of fandom, fans and creators, press and audience members are realizing they all share a love for the works of Stan Lee. Lee’s comics have impacted generations of Americans and they will continue to do so in the years to come. It is made especially ironic that Marvel has become a part of the Walt Disney Company, another American original that lost a luminary figurehead. Thanks to Disney, more people than ever are aware of Marvel. 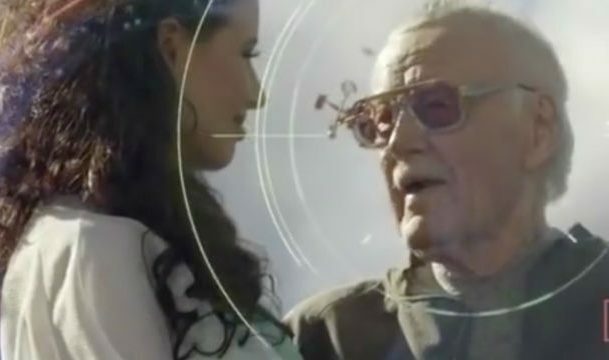 And more and more people are being brought together through the connection to pop culture that Stan Lee forged.This was an industry giant that audiences and creators and critics alike were unwilling to believe was just a man. We wanted him to live forever. For those close to Lee, it is a day of deep and profound sadness. For those impacted by Lee’s work, it is the “end” of an era. Everyone dies in the end. It’s what we leave behind that counts. To his fans, Lee more than just a mere mortal. He was the iconic Marvel figurehead who inspired fans to get tattoos and buy thousand dollar figures of their favorite characters. Lee was the unofficial minister to weddings forged in Marvel, the angel on the shoulder of every fan creating things to honor his work and the work of his contemporaries. Lee was a man who understood the responsibility of his position, and the ideals he inspired. He made superheroes human, even if they technically weren’t. Lee shared a vision of the inherent decency of every human being. In his own way, Lee left the blueprint for just what to do in this moment. He left it in every battle Spider-Man had with the Green Goblin, every battle that Thor fought, every moment that Captain America raised his shield. Assemble. The fandom must assemble and remember the good Lee gave the world. The fandom must unite and uplift new creators and hold the content that he made in their hearts. 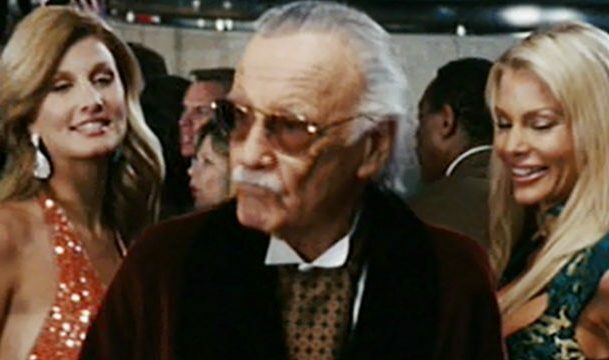 Without Stan Lee, there would be no fandom at all.